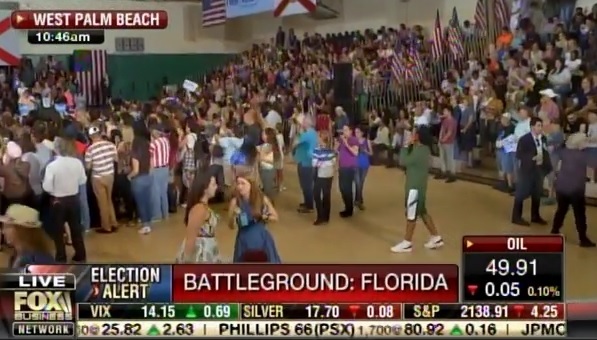 Hillary Clinton held another small rally today in a gymnasium at Palm Beach State College in Lake Worth, Florida. The election is in two weeks. And Hillary couldn’t fill a small gym. Even FOX Business Network was mocking the size of her rally. It’s nice to see some honest journalism for a change.